Knowing the 3PL industry and the SOP’s (Standard Operating Procedures) to be met, we have ensured that our system is capable of handling the intricacy of multi-client warehousing and daily operations. 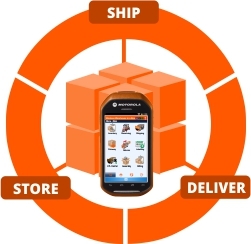 Our 3PL Warehouse Management Software, Wireless Warehouse In A Box™ with has been developed with precision, focused on equipping your 3rd Party Logistics warehouse for complete control over customer inventory. Taking consideration in the rising costs of operations and the increasing demand for 3PL providers (Shippers are spending an average 12% of revenues on logistics with an average 39% of that spent on outsourced logistics services), the need to obtain a more efficient and effective method of improving logistics productivity is critical — Unlike every other third party logistics software available, our 3PL version of Wireless Warehouse In A Box™ has been specifically designed with third party logistics providers and their customers in mind – Using Accuracy, Mobility and Inventory Transparency. An agile and flexible application providing visibility and collaboration between you and your customers. Using our intuitive 3PL WMS, you will obtain a complete solution for Inventory Reconciliation. ■ Traceability; tracking of specific client specifications including lots, type/size/color, expiry dates, and more! Your clients are satisfied, now it’s time to give yourself a boost! To maximize your 3PLs profitability you need to contain your revenue and ensure that it is managed accordingly. We understand that this is a difficult task considering the complexity of billing rules that are applied – that’s why we did it for you. Revenue Rating, Activity Based Revenue and Costing, Billing and Invoicing, Financial Integration, and Sales Metrics — The 3PL version of Wireless Warehouse In A Box™ has been designed with billing functionality and preset rules that exceed your 3PL billing requirements, freeing up time and costs. An all-in-one Warehouse Management Solution.